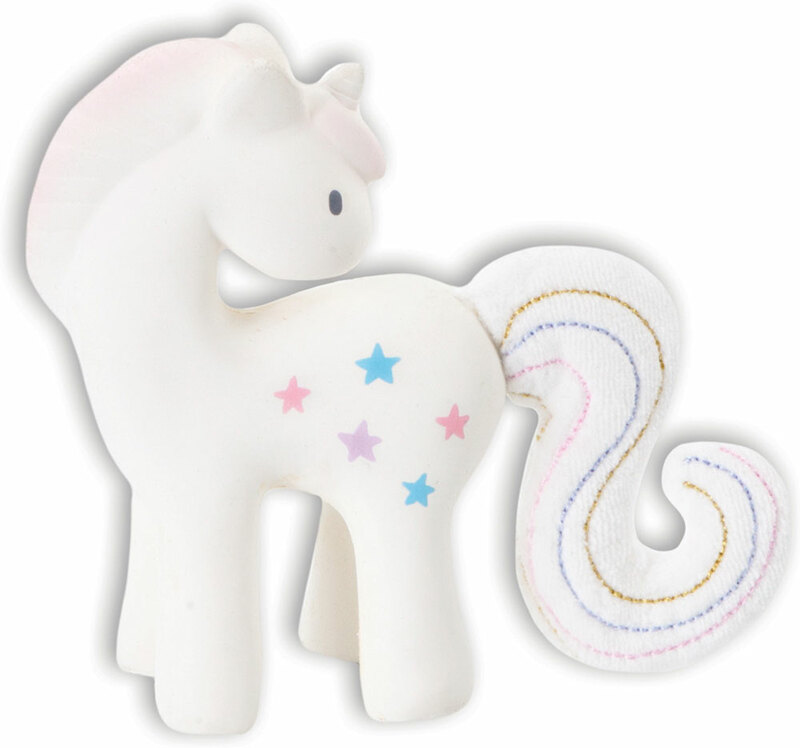 This adorable unicorn teething toy the cutiest for any new baby. The rubber body is perfect for teething babies, the soft crinkle tail and rattle add auditory and tactile enjoyment. Made from all-natural rubber and soy-based inks. 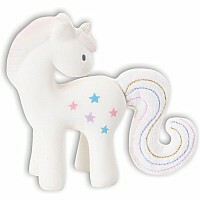 This all-natural and organic product features hand painted details using soy-based inks that are non-toxic and safe. Recommended for ages birth to 3 years. Measures approximately: 8.00 x 5.50 x 3.00 inches..